 By using the websites hosted by Broadwall Consulting Services (“BCS”) and its affiliates (collectively referred to as the “BCS Website”), you agree to be bound by all of the terms and conditions outlined herein and to use the BCS Website only as permitted by these Terms and Conditions and not for any unlawful or inappropriate purpose. If you do not agree with these Terms and Conditions, you must immediately stop using the BCS Website. BCS reserves the right, at its sole discretion, to change, modify, add or remove any portion of these Terms and Conditions, in whole or in part, at any time by posting revised Terms and Conditions on the BCS Website. Changes in these Terms and Conditions will be effective when such change is posted. Your continued use of the BCS Website after any changes to these Terms and Conditions are posted on the BCS Website will be considered acceptance of those changes. BCS may terminate, change, suspend or discontinue any aspect of the BCS Website, including the availability of any features of the BCS Website , at any time. BCS may also impose limits on certain features and services or restrict your access to parts or the entire BCS Website without notice or liability. BCS may terminate the authorization rights and license given herein. All content included on the BCS Website, including but not limited to text, graphics, logos, button icons, images, and software, is the property of BCS or its content suppliers and is protected by United States and international copyright, trademark or other laws and regulations. You agree to access the materials posted on these pages manually, and not automatically, and solely for your own personal use or in connection with any business relationship between yourself and BCS and such materials may be downloaded to your own hard disk or sent to a printer solely for that purpose. You agree not to copy, modify, broadcast, publish, retransmit, disseminate, commercially exploit or distribute the contents of these pages without the express written permission of BCS. Nothing contained herein confers, by implication, estoppel or otherwise, any license or right under any patent, trademark, copyright or other proprietary right of BCS. All rights are hereby reserved. All information and content included on the BCS Website is provided “as is” and without warranty of any kind, either expressed or implied, including, but not limited to, the implied warranties of merchantability, fitness for a particular purpose, and non-infringement. BCS strives to provide accurate and up-to-date material on the BCS Website. However, BCS makes no warranties or representations as to the accuracy or timeliness of the material provided through the BCS Website. BCS assumes no liability or responsibility for any errors or omissions on the BCS Website. You agree not to take any action, alone or with others, that would interfere with the operation or performance of the BCS Website, to alter the BCS Website in any way, or to impede others’ access to and freedom to enjoy and use the BCS Website. For your convenience, BCS may provide links to websites belonging to other companies, including affiliates of BCS. Those websites are not under the control of BCS and BCS does not monitor, make any representation with respect to or assume any liability with respect to any third-party websites, including, without limitation, for any products or services that are advertised or available for purchase through such third-party sites. The fact that BCS has provided a link to such websites is not to be interpreted as an endorsement of their contents. You shall remain solely responsible for protecting yourself from viruses and other destructive elements that may be present of those sites. BCS is not providing investment advice through the BCS Website, and the material on the BCS Website should not be regarded as an offer to sell, or a solicitation of an offer to buy, any securities of BCS or any of its affiliates. If you decide to use any material available on the BCS Website in assessing whether to buy or sell securities of BCS, please be aware that the material on the BCS Website reflects past performance and historical information only, and that such performance and information is not necessarily an indication of future performance. Each user of the BCS Website agrees to indemnify and hold harmless BCS, its affiliates, and its and their respective shareholders, partners, officers, trustees, directors, agents and representatives from and against all claims and expenses, including attorneys’ fees, arising out of the use of the BCS Website and the content herein. Neither BCS, nor its affiliates or its or their respective shareholders, partners, officers, trustees, directors, agents or representatives shall be liable for any direct, indirect, incidental, special, consequential or exemplary damages, including but not limited to, damages for loss of profits, goodwill, use, data or other intangible losses (even if BCS has been advised of the possibility of such damages), arising out of or relating to: (I) your use or inability to use the BCS website; (II) unauthorized access to or alteration of your transmissions or data; (III) statement or conduct of any third party on the BCS website; or (IV) any other matter relating to the BCS website or its contents. The provisions of these Terms and Conditions are intended to be severable. If for any reason any provision of the Terms and Conditions are held invalid or unenforceable in whole or in part in any applicable jurisdiction, such provision shall, as to such jurisdiction, be ineffective to the extent of such invalidity or unenforceability without in any manner affecting the validity or enforceability thereof in any other jurisdiction or the remaining provisions hereof in any jurisdiction. The failure of BCS to exercise or enforce any right or provision of these Terms and Conditions shall not operate as a waiver of such right or provision. These Terms and Conditions represent the entire agreement between BCS and you with respect to its subject matter, and may be amended only by BCS. These Terms and Conditions shall be governed by the laws of the State of New York, without regard to principals of conflicts or choice of laws.